A leading protester during the 2008 peaceful demonstrations was sentenced to be jailed for 5 years by a Chinese court. A Chinese Intermediate People's Court sentenced a leading Tibetan protester from Ngaba region of eastern Tibet to five years imprison for his involvement in 2008 peaceful protest against Chinese harsh treatment of the Tibetan people in their homeland, Tibet. "It has been learned that on November 29th, Tsering, son of the Lori (Father) and Chokyong Tso (Mother) from Raru village, Cha township, Ngaba county, eastern Tibet, was sentenced to 5 years by the Ngaba county intermediate peoples court," said Ven. Losang Yeshe and Kanyag Tsering from Kirti Monastery in exile. "Tsering was taken elsewhere. He became a monk at Kirti monastery from a young age, but disrobed in 2007 and returned to his family in the pastoral area. He participated in the protest in Cha township in March 2008, and then went into hiding to evade arrest," according to exile Tibetan sources. The 26 year old, One of the 2008 leading protesters in the region "remained in hiding until around April 2010, when he was arrested from a restaurant in Ngaba town. He has been in detention awaiting trial since that time," they said. "During his time in hiding, police came looking for him many times, saying that he was a ringleader of the Cha protest, and they searched for him throughout the area." "Meanwhile, others in detention after their arrests in or after March this year, such as Gerik of Me'uruma township and Ngaba Kirti monk Jigme, have still not been brought to trial,". In the 2008 violent repression that followed, 220 Tibetans were killed, nearly 1,300 were injured and nearly 7,000 were detained or imprisoned, according to the Tibetan government in exile. Total 13 Tibetans since 2009, most of them monks or former monks and In the past nine months, 12 Tibetans living inside Tibet have set themselves on fire protesting the Chinese repressive policies and tyrannical rule. Tibetans in exile across the world urged all international communities and governments concerned with human rights in China to articulate publicly their concerns about the deteriorating environment, and to press the Chinese government to address the fundamental human right of Tibetans in Tibet. It is over 60 years since China's army invaded Tibet; 60 years in which to win Tibetan hearts and minds, to assimilate Tibet into mainland China. 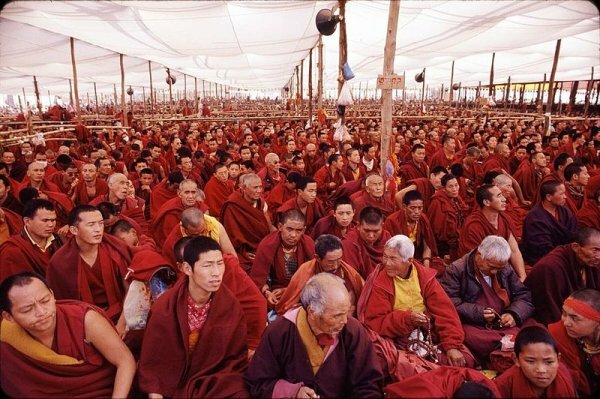 Yet Tibetans in all parts of Tibet remain strongly united, over the decades they have rejected and continue to actively resist Chinese rule, through protests, non-violent direct action, or by fleeing into exile.